With support from the Kavli Foundation, the Vice-Presidents of the American Astronomical Society (AAS) name a special invited lecturer to kick off each semiannual AAS meeting with a presentation on recent research of great importance. At the 233rd AAS meeting in Seattle, Washington, on 7 January 2019, the Kavli Foundation Plenary Lecture, “A Color Out of Space: ‘Oumuamua’s Brief and Mysterious Visit to the Solar System,” will be given by Gregory P. Laughlin (Yale University). Along with his Yale colleague Darryl Seligman and Konstantin Batygin (Caltech), Laughlin has explored what the detection of the first confirmed interstellar asteroid tells us about planet formation and has described how we might discover and characterize additional such objects. Laughlin is best known for his work on the detection and characterization of exoplanets, that is, planets orbiting stars other than the Sun. He has been involved in the Lick-Carnegie Exoplanet Survey using the Keck telescopes on Maunakea in Hawaii and has helped facilitate the participation of amateur astronomers and citizen scientists in exoplanet hunting via the Systemic and Transitsearch projects. Laughlin specializes in computational modeling of planet formation and evolution and the comparison of simulations with observations. He is coauthor with Peter Bodenheimer, Michal Rozyczka, and Hal Yorke of the textbook Numerical Methods in Astrophysics: An Introduction (Taylor and Francis, 2007). With his colleague Fred C. Adams (University of Michigan), he has contemplated the far future of the universe by extrapolating from our current scientific understanding, as described in their popular book The Five Ages of the Universe: Inside the Physics of Eternity (Free Press, 2000). Laughlin earned his bachelor’s degree in physics (1988) at the University of Illinois and his doctorate in astronomy and astrophysics (1994) from the University of California, Santa Cruz (UCSC). After stints at the National Astronomical Observatory of Japan; the University of Michigan; the University of California, Berkeley; and NASA’s Ames Research Center, he returned to UCSC in 2001 to join the faculty. He moved to Yale in 2016. The AAS is delighted to honor Prof. Greg Laughlin with the January 2019 Kavli Foundation Plenary Lectureship. 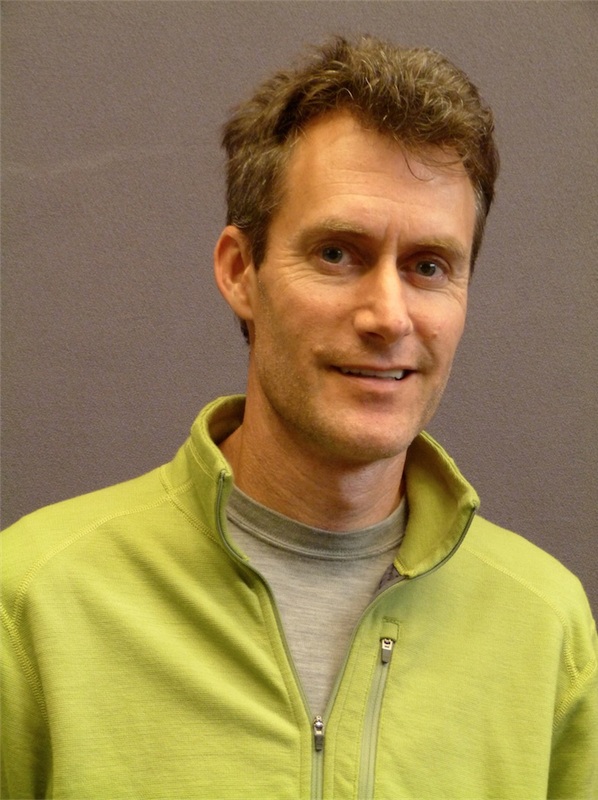 Astronomer Greg Laughlin of Yale University will give the Kavli Foundation Plenary Lecture, “A Color Out of Space: ‘Oumuamua’s Brief and Mysterious Visit to the Solar System,” at the 233rd meeting of the American Astronomical Society in Seattle, Washington, on 7 January 2019. Photo by Drew Dettweiler. The AAS, established in 1899, is the major organization of professional astronomers in North America. The membership (approx. 7,500) also includes physicists, mathematicians, geologists, engineers, and others whose research interests lie within the broad spectrum of subjects now comprising contemporary astronomy. The mission of the American Astronomical Society is to enhance and share humanity’s scientific understanding of the universe, which it achieves through publishing, meeting organization, education and outreach, and training and professional development.